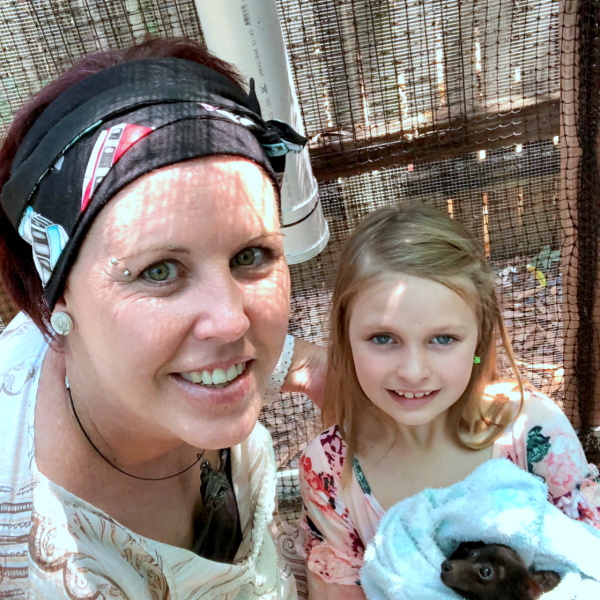 Most eight-year-olds despise needles, let alone choose to have four, but for young Teyahlee, these injections are an important step in making her a recognised flying fox carer and local hero. To give sick flying foxes a chance at survival, the Wildlife Carers Network applied for a 2019 Fitzroy Basin Association’s (FBA) Community Grant. Thanks to funding from the Australian Government’s National Landcare Program, FBA’s annual Community Grants provide support and resources for local organisations, to enhance the special places and species they hold close to their heart. Recently, along the Capricorn Coast, Flying Fox numbers have declined rapidly. What’s worse is that there are only two carers in the region equipped with the knowledge to provide adequate care for sick or injured bats. FBA’s Engagement Manager Rebecca French said that the Wildlife Carers Network demonstrated passion and determination to improve the health and reputation of the local bat population. After receiving a $3,180 grant, the network was quick to act. A two-day workshop in Yeppoon attracted a huge crowd of locals and enticed eleven new carers including eight-year-old Teyahlee and her mum Teneille. The duo has bravely rolled up their sleeves, and despite being terrified of needles, have received four injections to become inoculated. Once winter is here, the Fletcher home will be opened to all baby bats in need of care. “Caring for a baby bat is a feeling like no other. Their huge eyes stare right into yours and their tiny ears move as you speak to them,” said mum Teneille. 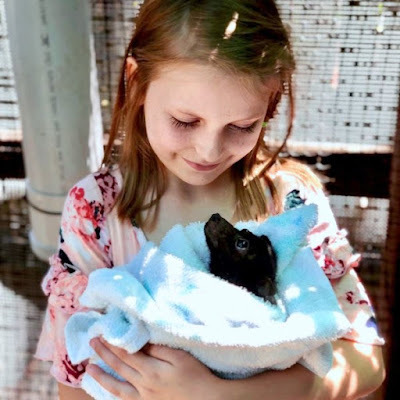 When asked why she is giving up her free time to care for flying foxes Teyahlee answered. 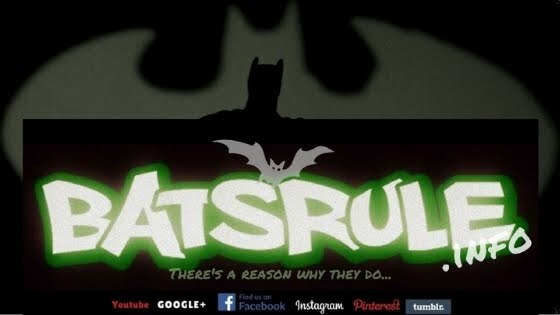 The Fletcher’s are lucky enough to have local bat guru Michelle Kracz as their mentor. Michelle is the only carer in Rockhampton and Capricorn Coast with a rehabilitation flight cage. This means that she has the weight and responsibility of caring for thousands of adult bats resting on her shoulders. Both Teyahlee and Teneille aspire to help shoulder this responsibility and be as knowledgeable as Michelle in a few years’ time. So much so, they are looking for a new house with a big enough backyard to hold a 11 x 3 metre flight cage.